Situated in the south-eastern Ontario province of Canada, is the country’s capital – Ottawa. Home to more than 934,000 residents, it is the nation’s fourth-largest city. Ottawa offers you a rich history, an exceptional creative culture and exciting festivals. Popular attractions of this Canadian destination include the Rideau Canal, the National Gallery of Canada and Canada Day. Pack your bags and get ready to explore the capital of Canada, because cheap flights to Ottawa are now available for limited time! 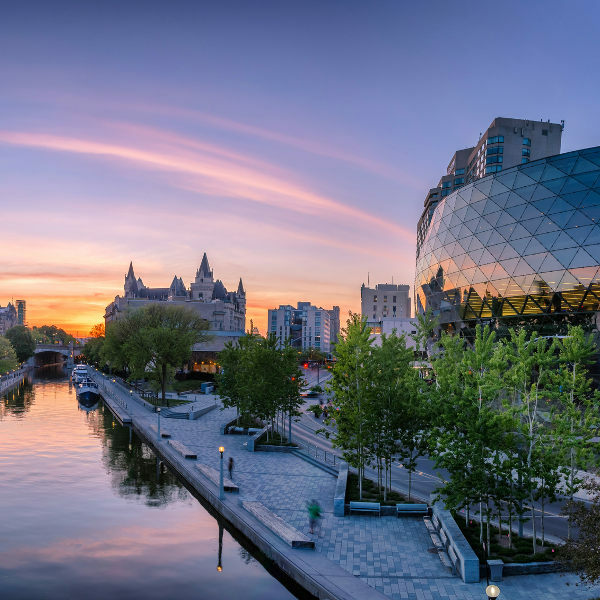 Ottawa is the home of Ottawa Macdonald–Cartier International Airport (YOW), a 15-minute drive or a relaxing 45-minute train ride from the city centre. 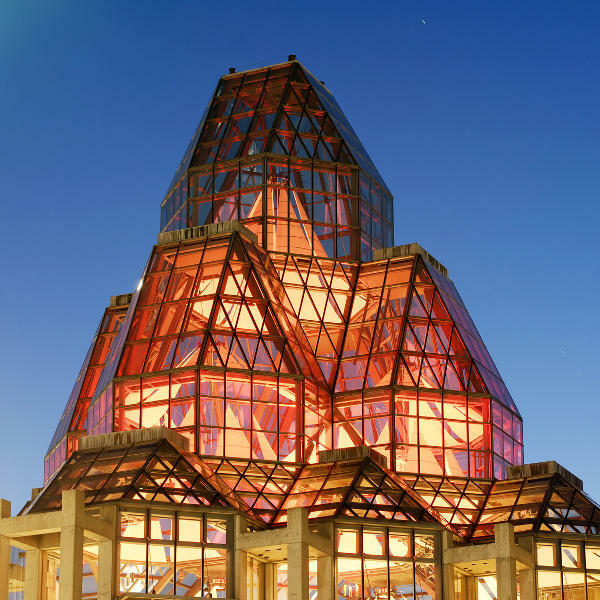 The capital of Canada boasts a rich art scene, with performances at the National Arts Centre and even amazing artistic achievements such as the exceptional National Gallery of Canada and the fascinating Maman sculpture. This Canadian destination sits on the beautiful Ottawa River. Combine this with the magnificent Victorian buildings like those at Parliament Hill, and you’ll have lovely sights to enjoy as you spend time exploring Ottawa. 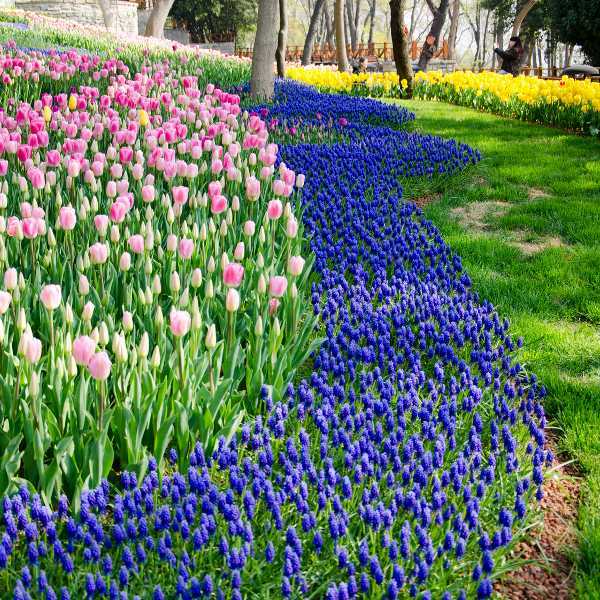 A visit during the spring season will give you the chance to experience the colourful Canadian Tulip Festival. Spend time relaxing at the historic Major’s Hill Park and admire the kaleidoscope of radiant flowers. Get the ideal combination of good weather, reasonable room rates and a quieter holiday experience by visiting Ottawa during the late spring (May). Temperatures during this month sit at around the 20s, while the rainfall is relatively low. Additionally, the city is free of summer tourists and there are numerous events for you to enjoy, such as the Canadian Tulip Festival, Victoria Day and the Ottawa International Children’s Festival. Discover one of the hidden treasures of Canada. The capital, Ottawa, may not be as popular as cities such as Toronto and Montreal, but a visit will reveal to you this metropolis’s exceptional charm. You’ll quickly see a lively environment that’s ideal for family vacations, yet fully prepared to cater for those seeking the nightlife experience. Enjoy a guided tour through the streets of this Canadian destination, admiring the magnificent buildings of Parliament Hill, situated along the scenic Rideau Canal. More stunning sights await, with the stylish National Gallery and the incredibly huge Maman sculpture. Inside the National Gallery, treat your eyes to the engaging works of Canadian and international artists. Ottawa offers more breath-taking scenes, such as Major’s Hill Park (one of the venues for the Canadian Tulip Festival), Lansdowne Park, National Capital Greenbelt and Britannia Park. Rest your feet at one of these picturesque locations as you take in lovely views and prepare yourself for exploring more of the capital of Canada. The Canadian culture shines in Ottawa just as it does in other cities of the country, with the National Arts Centre. This venue plays host to a variety of exciting events, in many art and entertainment genres, including music, theatre, dance, Broadway theatre and more. While visiting Ottawa, make sure to immerse yourself into the various events and festivals that take place annually, such as Doors Open Ottawa, WestFest, the Ottawa Fringe Festival and the Ottawa Ribfest. Compare several airlines and book your cheap flights to Ottawa online at Travelstart! Be careful when using the buses and transit stations. There have been reports of crowding and robberies, but the presence of constables and plain-clothed security has since been increased and cameras have been installed on the buses and trains. At night, make sure to avoid the areas of Bayshore, Caldwell, Heatherington, Hintonburg, Ledbury, Lowertown, South Keys and Vanier.